DRC presidential candidate speaking in Brussels urges country's politicians to "put aside their divisions"
Francis Mvemba is an opposition presidential candidate for the elections in the Democratic Republic of Congo on 23 December. He launched his campaign among the Congolese diaspora of Belgium and members of the Congolese media at Brussels Press Club earlier this week. Speaking at the press conference, Mvemba outlined his vision for a new Congo, and his hopes for the lost generation of young people deprived of hope. “The most important thing for Congo is for politicians to put aside their divisions and work for the Congolese people. Congo is a rich country – we have everything we need to be successful – but the country has been dragged down for years by bitter political infighting between two camps. "We need to stop the labelling people with political brands – it doesn’t serve the Congo people. What is important is that Congolese politicians work to serve the country and the people, not to serve themselves”. Mvemba outlined his priorities for a future Congo – food security, state health services, and free State education until the age of 18. “Why do we import our basic foodstuffs when we could be a global agricultural powerhouse? We need to industrialise our agriculture, our aquaculture industries in our River Congo, and our Lake Tanganyika”, said Mvemba. “Why do we export so much of our mineral resources to trading partners abroad? We need to create enterprises and companies in Congo to process these raw materials, and create employment at home,” he added. Concerns about the use of e-voting machines for the first time and a rigged vote were dismissed. Mvemba said there was no choice now but to use the e-voting system, because his priority is to have elections. Elections in Congo have been delayed for the past two years over Constitutional issues surrounding the presidency of incumbent Joseph Kabila. While he hopes for free and fair elections, holding elections represents for Mvemba a step forward in the right direction, and an end to the stasis that has paralysed the country for years. He is standing as an independent, without the backing of an established political party, or a dynastic political family. He said he would not be prepared to serve in anyone else’s government, because what the Congolese people want is something new. Though he stressed that there would be no vengeance or retribution for those who have held the reins of power before him. “Whatever is done, is in the past. There will be no settling of accounts, no rancour. Addressing the Congolese nationals gathered, Mvemba said that young people in Congo have been sacrificed and stressed the value that the diaspora could bring to a developing Congo. 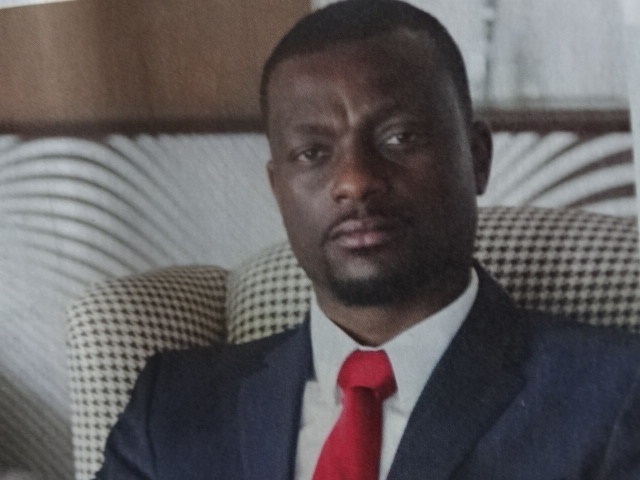 Mvemba’s plan would see financial help and micro-credit loans directed towards returning emigrants, to encourage them to start businesses in if they returned.